This is a section of the galaxy cluster Abell 426 in Perseus. It is about 250 million light-years away. The galaxy at the top of the picture is NGC 1275. While this object has an oval shape, we are actually looking at a spiral galaxy nearly edge-on as it emits gaseous filaments in multiple directions. NGC 1275 is also known as Perseus A and is a strong source of radio waves as well as X-rays from a black hole at its nucleus. A 2003 study suggests that NGC 1275 may be generating sound waves at a period of 9.6 million years. [https://academic.oup.com/mnras/article/344/3/L43/1015198] Wikipedia states that “no human will actually hear the note, because its time period between oscillations is 9.6 million years, which is 57 octaves below the keys in the middle of a piano.” [https://en.wikipedia.org/wiki/Perseus_Cluster] Rumor has it that the famed singer Pavarotti suffered two hernias during his career trying to reach a bass note this low. I don’t usually like to whine about my imaging sessions, but I know everyone here can relate to this. I collected my color data during the worst periods and although the raw files look awful, I was able to salvage color information. 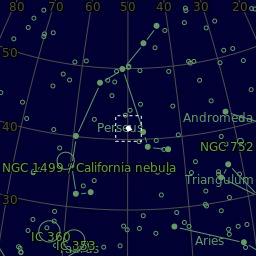 After the Perseus Cluster set into the chimney, I slewed the scope to begin imaging M82. That will be my next saga. Hope you enjoy the image.